Transform your art with this unique picture frame. Its slightly rounded profile is hand-laid with textured cotton husks for a thoroughly unique presentation. It’s your ideal family portrait frame, wedding frame or nature photo frame. 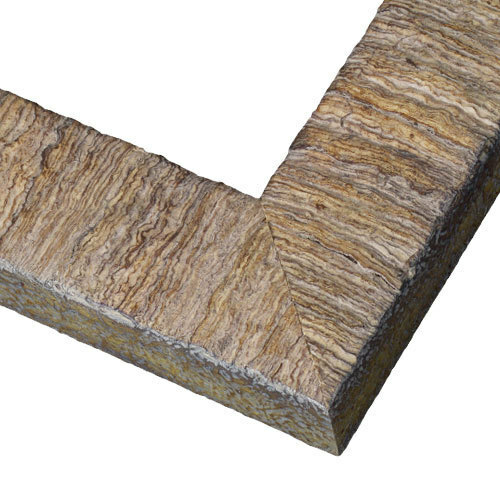 Handcrafted by our Artisans from natural wood grown in sustainably managed forests. Custom sizes to 1/8th of an inch! Do it your way with pictureframes.com. Ships lightning fast. Fabulous! Quality, texture and color just as represented. Perfect framing for my original inking. These frames were just what I was looking for to add the finishing touch to my stained glass mosaic African masks ! They were more beautiful in person and very well made. Thanks Picture Frames ! You have a new customer! 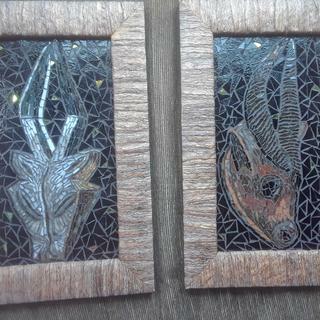 Natural cotton husk frames on my stained glass mosaic African masks. Love the look ! well built, great looking. A frame we are using for mirrors. Can you send a sample of the the frame? BEST ANSWER: We do offer samples of all our frames, excluding clearance. These can be ordered directly under the price of each frame or by phone at 1-800-332-8884. Thank you!